We believe that investment portfolios must be consistent with the financial plan that we prepare for our clients. We explore multiple investment vehicles and assist you in identifying an approach that fits both your risk tolerance and planning needs. Whether your financial plan calls for a reliable stream of retirement income, or if you are still accumulating wealth for your retirement, we can build a portfolio that accommodates the unique financial goals and objectives of your household. We serve our clients with appropriate brokerage accounts, annuities, fee-based accounts and alternative investments. We are able to focus on financial planning relationships with our client households because of the relationships we maintain with the LPL Financial Research Department. Comprised of over 40 independent analysts, economists, strategists and CFA’s we rely on their independent assessments of the global economic environment as a baseline for our client portfolio construction. LPL Financial Research provides us with recommendations and advice on both asset allocation (how your portfolio should be divided among different investment classes) and the money managers best suited to oversee each "slice of the pie" in your portfolios. We feel extremely fortunate to have a full-time research department supporting our practice. And support us they do. Our firm resides in their top 10% of more than 14,000 LPL Financial advisors in the US, based on Revenues and Advisory Assets Under Management. As a LPL Financial advisor in this group, we can obtain preferential service for our clients as needs arise. We utilize the information that LPL Financial Research provides us in a number of ways. Of course, we allocate investments and choose money managers for accounts that we manage for clients using their insightful research and ideas. In addition, we use the advice of the LPL Financial Research Department to assist clients with investment accounts that they may already hold, such as inherited assets, trust accounts and their workplace retirement plans (401(k), 403(b) and others.) We help our clients maintain a consistent investment strategy with assistance from the research at LPL Financial, across the entirety of their investment holdings, whether or not we directly manage the assets. 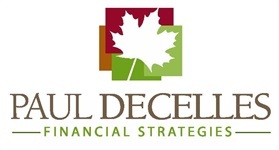 If the financial plan identifies a life insurance need, Paul Decelles Financial Strategies offers strategies through LPL Financial Insurance Associates. Comprehensive strategies are offered from dozens of insurance companies for a broad range of coverage and competitive premiums. Education planning – We assist parents with several important steps in preparation for their student’s application for financial aid. We help families prepare for calculation of the EFC (Estimated Family Contribution) – the basis for their financial aid packages. Elder care planning – We address the financial risk of nursing home confinement for clients and their aging parents. For clients and aging relatives of clients who cannot qualify for LTC insurance, we refer to an elder care attorney for Medicaid planning and other strategies.